Taking place at the iconic South of England Showground in Ardingly, West Sussex, the annual event has been established since 1967. Whilst the three-day event will still feature its programme of agricultural and equestrian competitions and displays, rural crafts and an abundance of food, drink and shopping opportunities, 2019's event is centred around the pure delights of traditional family fun. Children can unleash their imagination and revel in the joys of fresh countryside air where they can watch Shetland ponies go head to head in their own mini Grand National, or little piggies prove their agility just like Babe in the piggy pranks obstacle course. In the Heritage Zone they will be able to experience life as a Saxon or Norman and watch battle re-enactments. In the Discover the Countryside area there will be pond dipping, birds of prey to admire, and this year they'll even be able to meet some water buffalo, plus lots more. The youngest members of the family can even explore The Gruffalo Wood and meet the beloved storybook character himself (subject to appearance times). Adults can also forget the stresses of everyday life and enjoy the spectacle of the Bolddog Lings motorcycle stunt display or visit the new for 2019 Wine Walk where they can sample the wine and learn about the vineyards right on our doorstep. 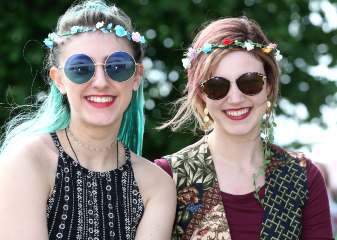 Even the teenagers will enjoy the event with many an 'instagramable moment' to capture with the show's music stage hosting artists from East Sussex College or the always exciting showjumping programme. "The event is designed to provide a fantastic day out in the countryside and reinforce the delights that agricultural living can bring. "Today, in our technology-led world, so many children are simply unaware of the basic processes of growing food for our plates, or have never witnessed or tried out simple forestry or horticultural skills. "Importantly though, most people don't realise that we - the South of England Agricultural Society - are actually a charity and events like this, as well as showcasing agriculture, horticulture and the countryside to the general public, help us raise vital funds to support people with an interest or involvement in agriculture and other related land-based industries. "From inspiring school children to learn about the land, to offering travel bursaries for people working in the farming sector or helping with funding towards agricultural research - we want people to know that when you visit The South of England Show that they will also be supporting these fantastic projects and people across the South East." For your chance to win a family ticket (two adults - plus children go free) please answer the following question. Question: Whats is the name of the zone - at the forthcoming South of England Show - where children can experience life as a Saxon or Norman and watch battle re-enactments? Please email your answer (with 'South of England Show' in the subject line) to editor@brighton.co.uk - Please include your full name. Tickets are valid for the South of England Show on either 6th, 7th or 8th June 2019 (1 day pass only). 1 pair of tickets per winner only and at least 1 adult must be present - Children under 16 years old are permitted free access to the show. No purchase necessary. Tickets are non-exchangeable. Closing date for entries is Monday 6th May 2019 (9am), entries received after this date will not be counted. Winners will be sent their show tickets via email only and must print a copy of the tickets to show to staff upon entry at the show gate. Any travel and accommodation will not be included in the prize however parking at the event is complimentary. Tickets for the South of England Show 2019 are available from seas.org.uk and can be bought online in advance for a 10% discount. Tickets cost £22 for adults, £20 for senior citizens/students, and under 16s go free with a paying adult*.